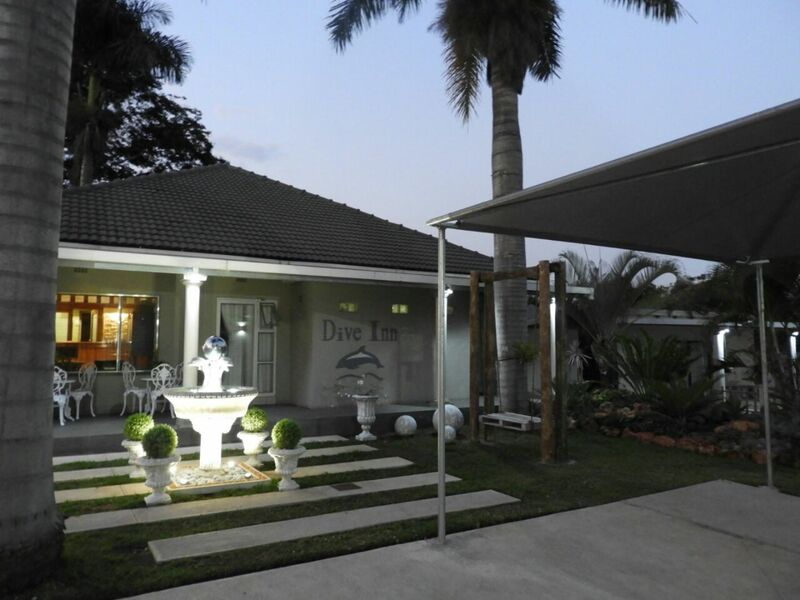 Situated in the sub-tropical town of Pongola, Dive Inn Guesthouse Pongola offers lush gardens with a large outdoor pool and braai facilities for a traditional barbecue. Free Wi-Fi is available. Each of the air-conditioned rooms comes equipped with a TV with some satellite channels and a private bathroom. They contain tea/coffee facilities and some traditional South African biscuits. A continental breakfast is served daily, and packed lunches can be prepared for day trips to local attractions. Fishing and boating are available at Jozini Dam, less than 50 km away. The game reserves at Ithala, Hluhluwe and Mkuze are all within 140 km of the Dive Inn. Sodwana Bay, Ponta de Oura and Ponta Malegane are deep-sea diving locations within a 200km drive from the property. The Pongola Golf Club is less than 1 km from The Dive Inn. We have Luxury Twin bed rooms, Executive Twin bed rooms, Regular Twin bed rooms, Double bed rooms, Single rooms. We also have a Honeymoon suite with a special bathroom. We have free, off street, covered parking available as well as Parking for caravans and boats.